What if your solar panels could be any color you wanted? To a lot of people, there is nothing wrong with the classic black and blue panels. They’re not loud colors, and they’re not intrusive in a property design or layout. But as with so many other things, consumers want choice. Now new nanotechnologies may be giving us a way to offer solar panels in more colorful designs. Brand-new reports from the American Institute of Physics in Science News show how scientists have been able to use a process called “soft imprint lithography” to create new hues in solar panels — making a renewable energy source literally: green. The basic way to explain this is that tiny nanocylinders on a microscopic scale throw a green light, to change how the panel surface appears to the eye. Scientists refer to it as an ‘optical rubber stamp’ — there is also an electromagnetic element to this technology. Essentially, manufacturers would populate the panel with these nanoparticles to change the wavelength of the resulting light. One of the things that’s strange and controversial about this project is the trade-off — changing the color of the solar panels in this way would actually reduce their efficiency by about 2%. However, advocates argue that the 2% in performance is pretty negligible. So how soon will we have designer solar panels? The AIP reports that groups are already progressing on red solar panels and contemplating the eventual development of white ones. What’s next — fractal graphics on solar panels? Well, as they say, if everybody liked Chevrolets, they would make Fords. Creating choice is just another piece of the solar puzzle. It’s another sign that solar energy has really come to fruition, and that it’s become a realistic and practical way to run your property or small business on the power of the sun. Solar is popping up everywhere for a reason. 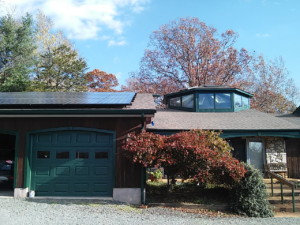 It’s not just mega-companies like Amazon or utilities like Dominion – residents all over Virginia and much of the rest of the country are getting their own smaller solar projects in place, to enjoy sourcing their energy from a renewable, natural place. Ask Sun Day Solar about your options for getting affordable green energy solutions on-site. 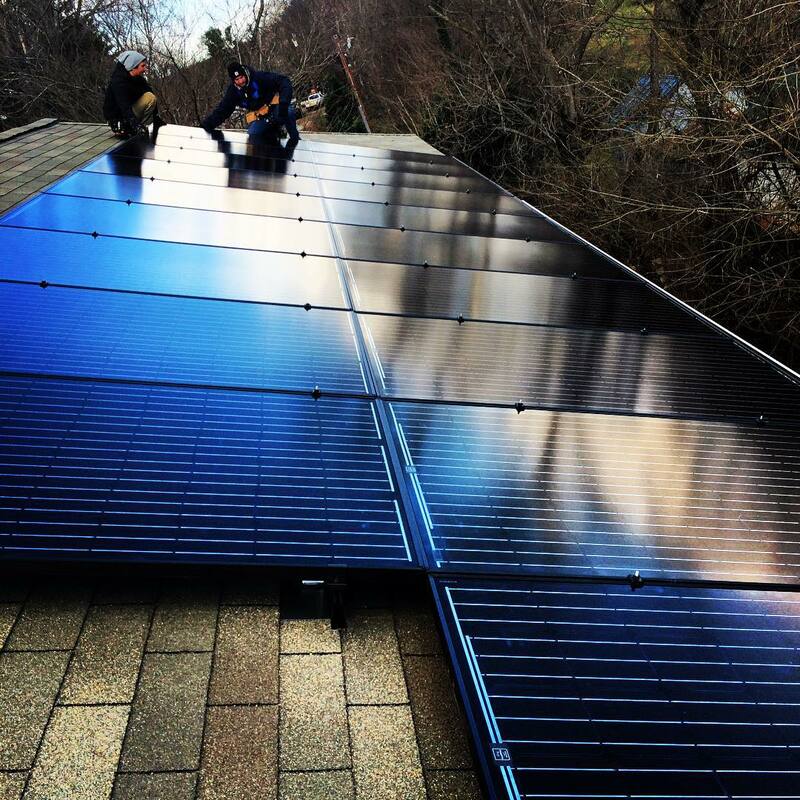 We can help with roof-mounted or ground-mounted systems and other different kinds of solar installations that can help save you money and promote a good ecological future. Let us help you to make your solar dreams into reality!